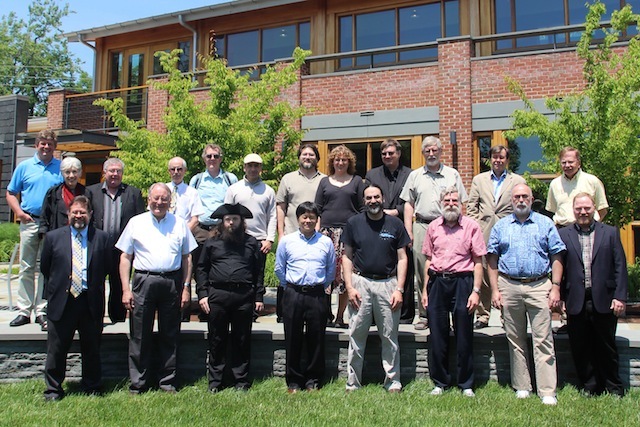 A Colloquium Addressing a Continuous Time Standard to be held at the University of Virginia, Charlottesville, VA May 29-31, 2013. 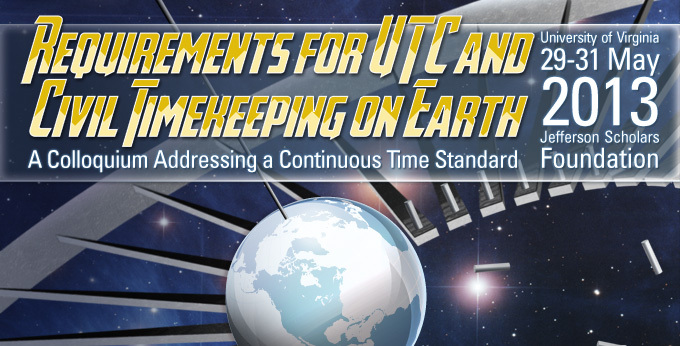 The proceedings for "Requirements for UTC and Civil Timekeeping on Earth" will be published by Univelt, Inc. as part of the American Astronautical Society (AAS) Science and Technology Series. Universal time is the conventional representation of Earth rotation and astronomical time-of-day. It serves as a contemporary measure of mean solar time at Greenwich, which is the legally recognized basis of civil timekeeping for most nations now or historically. Coordinated Universal Time (UTC) has been an international broadcast convention for labeling uniform atomic seconds since 1972, so that precise clocks remain synchronized with Universal time of day to better than one second. Thus, many technical users expect UTC to indicate the orientation of the Earth and sky. Because the transmission of UTC began with radio signals, UTC is defined by the Radiocommunication Sector of the International Telecommunication Union (ITU-R). In 2001, the ITU Radiocommunication Assembly inquired “What are the requirements for globally-accepted time scales [...] for civil time- keeping?” via Study Question ITU-R 236/7 (“The Future of the UTC Timescale”). After years of debate within ITU-R study groups, the 2012 Radiocommunication Assembly was asked whether UTC should be redefined by halting future leap seconds. Instead, the 2012 Assembly recommended further studies, involving interested outside stakeholder organizations, “to ensure that all the technical options have been fully addressed” by 2015. The Assembly’s decision paralleled guidance from specialists attending a related colloquium in October 2011. The international request for further studies over the question of “requirements [...] for civil time-keeping” necessitates wider participation. This colloquium will gather specialists, operators, academics, and professionals outside the regulatory concerns of telecommunication to further discuss and document distinguishing philosophies, pragmatic solutions, and timetables relevant to various possible options for future timekeeping practice. Particular emphasis is sought regarding fundamental requirements for the present and future, and derived technical specifications to meet those requirements. For additional information, email: info(AT)futureofutc.org. Web pages for the prior meeting, "Decoupling Civil Timekeeping from Earth Rotation"